The Money Quest: An Investor or a Gambler? 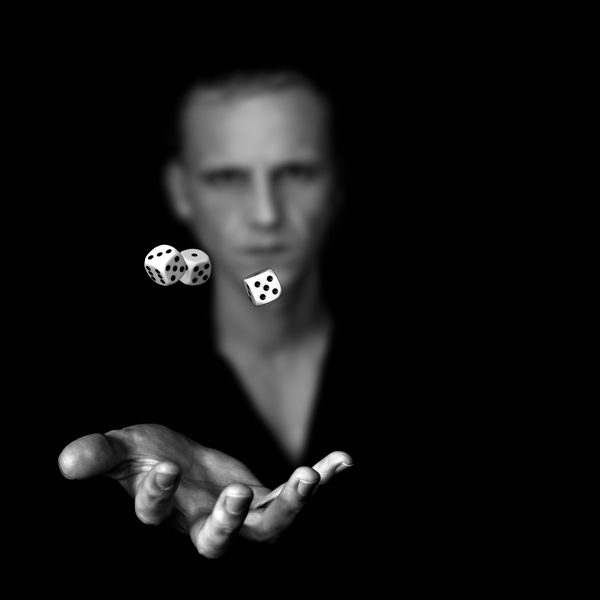 An Investor or a Gambler? Currently the Sensex is hovering in the range of ---.After touching ---it is on a continuous decline during last few weeks. The last Sensex closing price was ---with a P/E of ---. Still the market is overvalued because the historical long term average PE (Price to Earnings Ratio) of the Sensex and Nifty is around --- whereas the current P/E is ---. Don’t you come across such statements in the pink papers? No discussion, analysis of either an individual stock or market is complete without the mention of P/E. Now please tell me: Does it make any sense to you or simply went over your head? the two... the one quoting at Rs 15 with a P/E multiple of, say, 40 and the other is available at Rs 80 with a P/E multiple of 16 all other things being equal (such as industry, quality of management, growth rates)? Which one will you buy? When you want to buy a stock, the first thing you look at is its price. But price in isolation can’t tell you anything. For example, if share X is quoting at say Rs 20 and another share Y is at Rs 250. How do you decide which is a better buy? Does share X is better or cheaper buy because it is available at much lesser price than Y? How do you decide the true value or worth of a share? Similarly, how do you judge whether the market as a whole is over-valued? For example, how do you know when the market is overvalued: Sensex level of say, 25,000 with a P/E of 15 or SENSEX level of say 15000 with a P/E of 25? Nobody can judge the actual worth of a stock or market without looking at the P/E multiple—the most basic & important valuation parameter. If you’re investing in the market without having idea of the P/E concept, then you’re simply a gambler and it will be better for you to buy lottery tickets than invest in stocks. In fact, I’ve seen many self-proclaimed Warren-Buffet—idiots— who have invested their entire savings in stock markets without even knowing what is P/E Ratio. Ok, now a question for you: Which category do you fall into? But Fisher, you’ve still left the question unanswered what exactly is P/E and how do we make use of it while making investment decisions? See, to find an answer, you’ve to first ask a question. Now, that question has been raised, you’ve started thinking about it…you’ll be able to discover the answer for yourself. Just give it a try…if you still find it difficult to understand, I’ll write another post. I think that if two stocks are priced at the same rate then p/e can be a deciding factor otherwise you can't make any conclusions. Nice Post Fisher.I had Invested in mutual funds when the market went down without thinking about the PE.your article is really an eye opener. @Rahul.You are right.May be then i should have looked at the Fund's NAV.I had invested in HDFC tax saver and Fidelity Tax Advantage when the index was around 16000.